Being apart from the one you love can be devastating. Your lover’s absence can turn your life upside down and your heart inside out. Your ability to concentrate on anything other than your sweetheart can become a problem. When your heart hurts, putting your feelings down on paper can help. Just saying how you feel can make a difference in your life. Words that express love can be the spark that ignites a dying love or the spark that makes an existing love burn brighter. Below are some quotes you can use to show someone you miss how you feel. 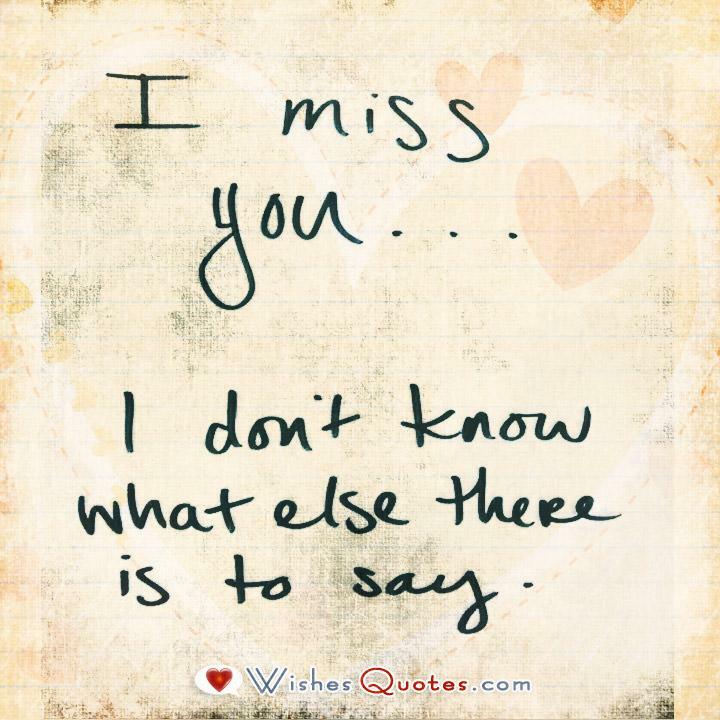 Whether it is a former boyfriend or girlfriend or a current one, the person receiving your heartfelt thoughts should know how much you love and miss them. Loving words that are not spoken do nothing for the heart, so say, “I miss you” when the one you love is away. Since we separated, training myself to not miss you seems to be an impossible feat. Missing you hurts so much. My heart and my mind won’t let me get over you. Even though you said goodbye, I still love you. I miss you. I don’t know what else there is to say. I miss your smile and all those fun-filled days. I’ve missed you since goodbye and I will love you always. I wish our love was once again and you were here with me. Constantly missing you is driving me mad. 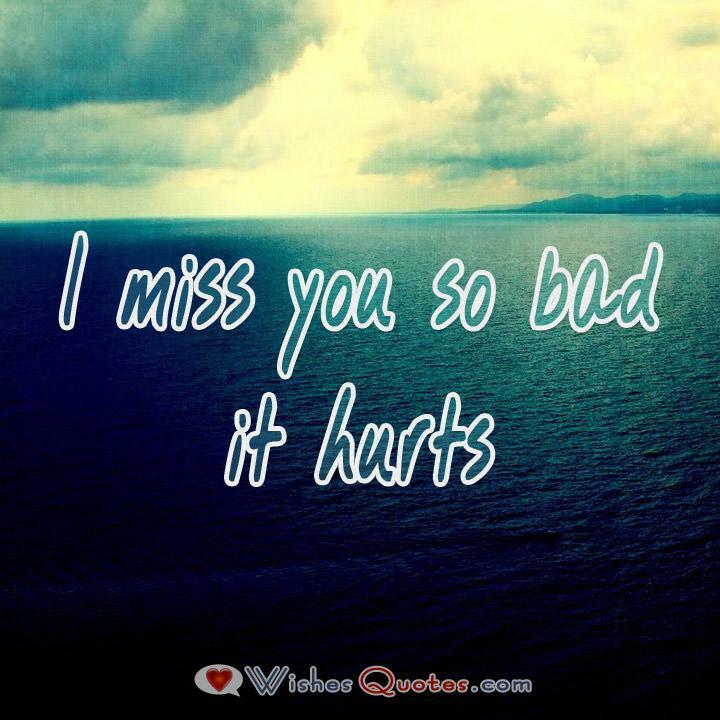 When I think about all the fun we had together, I start to miss you more and it really hurts. It was long ago that or relationship ended, but it seems like yesterday. The hurting won’t stop. I miss you. I’m suffering from missing you syndrome. I guess you’d better hurry home so that I can make a fast recovery. They say being away from your lover makes your love stronger. Since we broke up, I miss you more than ever. Love is sweet and love is grand, but now that you’re gone my life is so bland. Miss you intensely. Now that our love is past tense, life makes no sense. I miss you and how together I always felt. I just want to tell you that I miss you very much. Our loving relationship was one I truly cherished. Last night I dreamt about you. If dreaming is the only way to see you, I’ll spend my life sleeping. My love for you has not changed. It will forever remain strong, but so will the pain I started to feel after losing you. Since our relationship ended, my days have grown dark. Your absence feels like a dark cloud hanging overhead. Miss you. If missing you was a form of martial arts, I would probably be considered a master at what I do. I keep telling my heart you will soon be back. I know you will, but missing you is the pits. I miss you. A little too much. A little too often and a little more everyday. While we are apart it is only in the physical sense. You’re always on my mind and in my heart. 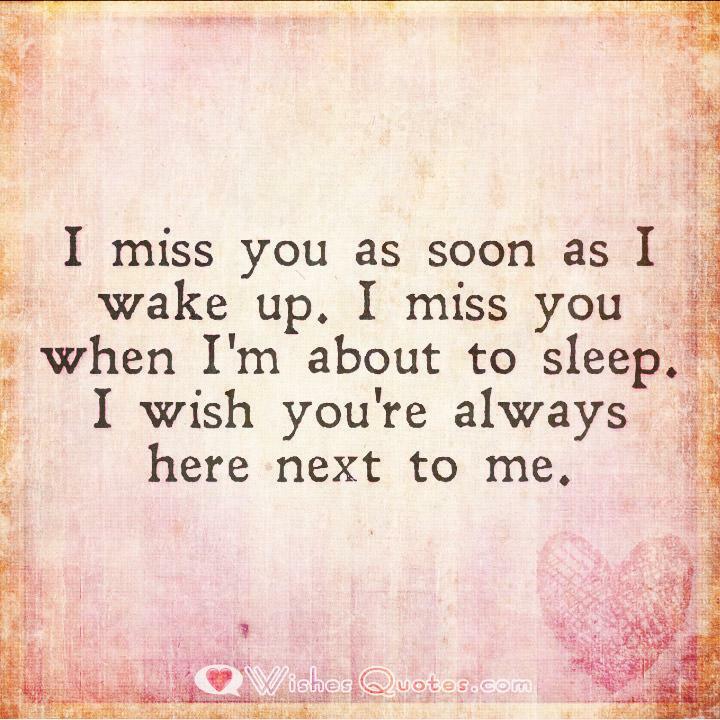 I miss you as soon as i wake up. I miss you when I’m about to sleep. I wish you were always here next to me. Even when I’m surrounded by my closest friends I feel so all alone and I find myself missing you terribly. Thankfully I’ll see you soon. I will stop missing you when I will be with you. I look forward to seeing you soon. Nothing in my life goes right without you, and missing you is torture. 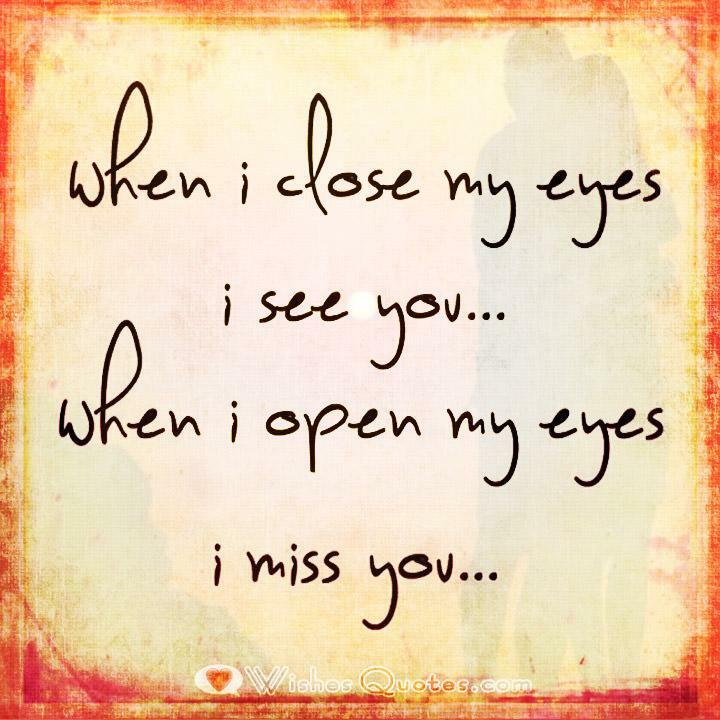 When you miss someone the way I miss you, time goes by so slowly and the nights are so long. I miss you because you’re fun to be with, intelligent and compassionate, and you please me every way you can. I wish we could live on love so you wouldn’t have to go to work. Life’s so wonderful when you’re around. It doesn’t matter if we’re apart for an hour or a day because I’m going to miss you either way. I can’t stop thinking about you when you’re not here. Thinking of you as always my love. The minute you walk out my door I start thinking about you. Anxious to be together with you this evening. You delight and excite me whenever you come around my love. Life would be a drag without you in it. Just being with you makes me high, so support my addiction and don’t let me miss you too long. 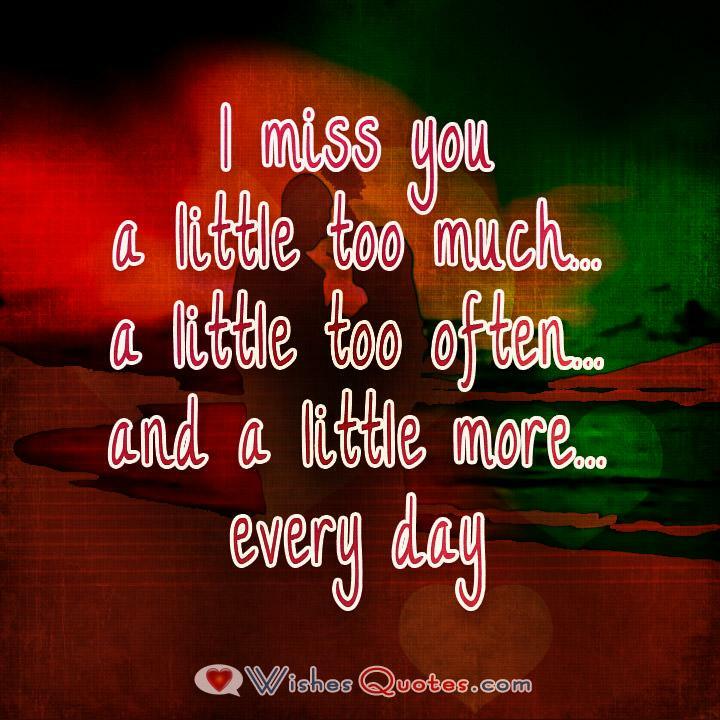 I wish I didn’t miss you so much because I’m spending too much time thinking about you. Come over a.s.a.p. Missing you is no joke. The laundry is piling up, the rugs need vacuuming, and I can’t get anything done. I love you so much I even miss you when you go to the bathroom. Yes, you are my world.